After nursing its wounds during last year's upfront presentation, Fox is in a much more celebratory mood this time around. The Fox Networks Group—which includes Fox, Fox Sports, FX, FXX, National Geographic Channel, Nat Geo Wild and Nat Geo Mundo (but not Fox News Channel)—has wrapped its upfront negotiations with volume increases of around 5 percent in CPM (cost per thousand viewers reached) and gains in the high single-digits to low double-digits, according to a person familiar with negotiations. This is a big reversal from last year's mediocre upfront, where Fox—which had fallen to fourth place in the 18-49 demo despite the arrival of Empire—had CPMs that were down as much as 2 percent below the 2014-15 upfront. Volume had been flat at the time. Fox rebounded slightly this past season to third place among the broadcast networks. For the second upfront, ad sales chief Toby Byrne and his team sold inventory across its entire portfolio (except for Fox News). The group had upfront success with its plans to reduce National Geographic Channel's ad load by up to 50 percent for its new series and specials. 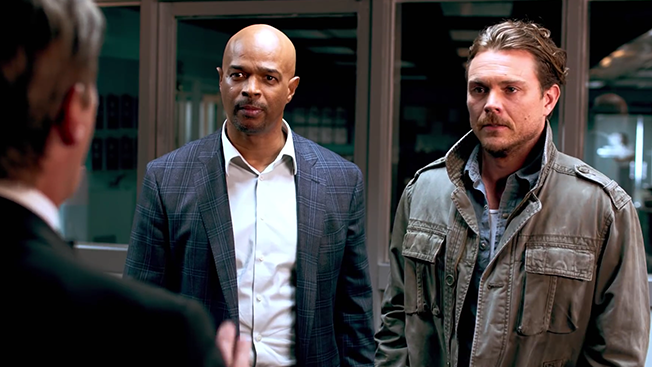 Fox had the strongest buyer interest from new fall dramas Lethal Weapon and Pitch, as well as midseason entries 24: Legacy, Star and its revival of Prison Break. Buyers had reacted enthusiastically to almost all of Fox's new shows during May's upfront presentation. The network will premiere all 16 of its fall series during a one-week blitz in September. Fox kicked off the marketing campaign for fall baseball drama Pitch during last night's 87th MLB All-Star Game. ABC finished its upfront sales last week, while CBS and The CW wrapped up their upfront deals on June 27. That leaves NBCUniversal as the last broadcaster still waiting to finish its upfront business.